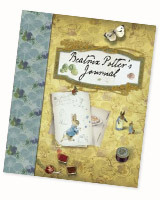 Published by: Penguin Books Ltd.
For anyone who grew up loving tales of Peter Rabbit and Benjamin Rabbit, this is a great and immensely personal keepsake of Beatrix’s life and career. You discover some interesting facts about Beatrix in the book, but also about the circumstances that lead to her writing and publishing one of the most beloved childrens’ stories of all time. I love the set up of the book, it contains photos, notes that come in real envelopes and drawings and paintings created by Beatrix herself. It also tells of her hardships and the ways in which she overcame those hardhips, both in her personal life and professionally. At the very end of the journal there is also a very nice surprize for ardent booklovers. Definitely worth your time. It’s a quick read, but a lasting experience, and suitable for the whole family (from 6 years and up).